Two and three bedroom townhomes overlooking Graeagle Millpond. Two and three bedroom townhomes in a private, forested setting with fenced backyard. Terrific properties with golf/lake view, nestled in the pines, or along the Graeagle Creek. 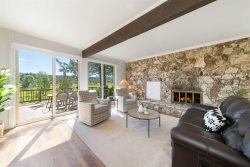 Vacation homes on the bluff with golf view, lake view, or in the pines.